Everyone knows at Sports Cards Plus, you always pick your box from The BEST CASES in The Hobby at The LOWEST PRICE in The Galaxy (all of Texas and beyond). Click on our FACEBOOK LINK at the upper right to see our daily specials Starting on Monday, March 5th. While March Madness is generally reserved for basketball, The Sports Cards Plus March Madness Mania Sale will give you savings throughout the store. 1. 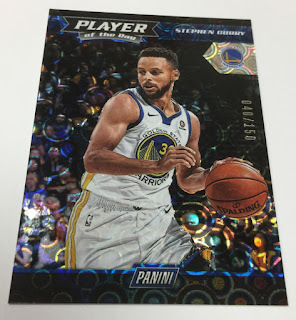 BEST PULL (most expensive card pulled in our store - based on current eBay sales - Charlie has final decision) in the month of March WINS $100.00 at Sports Cards Plus. ---- First Prize: a Magic Johnson Autographed 16" by 20" Photo. 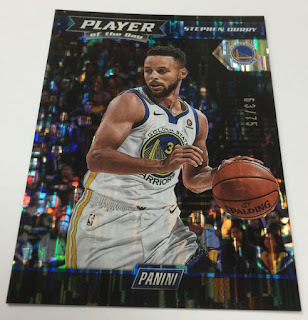 ---- Second Prize: A 2017-18 Prizm Basketball Blaster Box. ---- Third Prize: A 2017 Contenders Football Blaster Box. ---- Fourth Prize: A 2018 Topps Baseball Blaster Box. 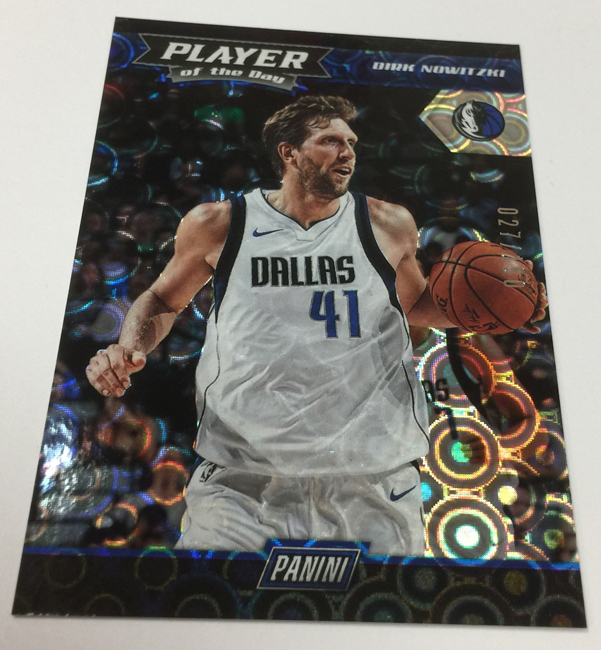 Get FOUR FREE DRAWING Tickets for above March 30th Drawing with each box of 2017-18 Prestige Hobby Exclusive Basketball you buy. 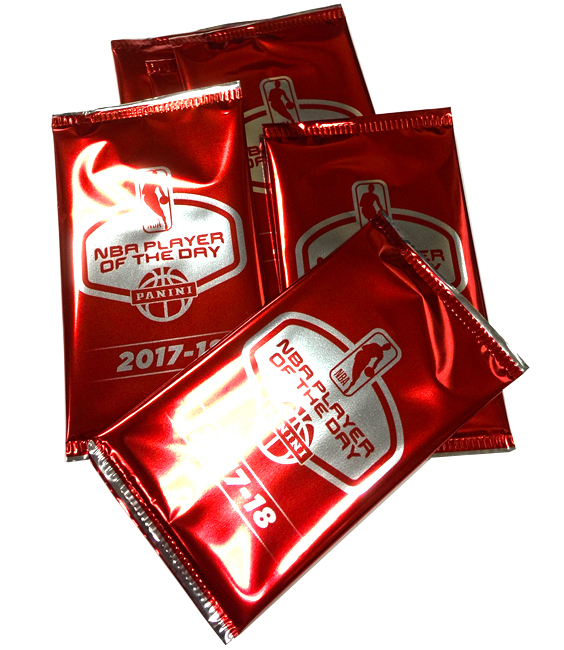 you could be a "2018 Player of The Day WINNER." The centerpiece of Panini America’s 2018 NBA Player of the Day the promotion is a poster featuring Panini America card images of one player from each of the 30 NBA teams. 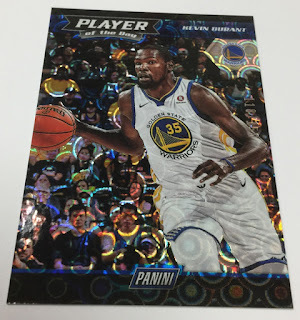 Each day, a different player on the poster is designated as the “Panini NBA Player of the Day” while Panini America spokesmen Kevin Durant, Damian Lillard and Kyrie Irving are “Wild Cards” for the duration of the promotion. 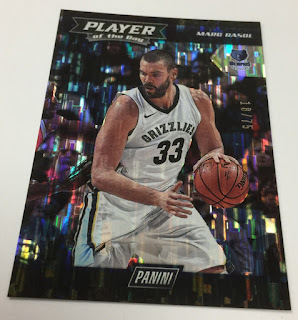 Every time a collector purchases a pack of officially licensed Panini America NBA trading cards and pulls the Player of the Day or a Wild Card, they win a prize. Each week, stores will conduct a drawing from the daily winners to award a weekly prize. Then, at the end of the month-long promotion, each store will award a grand prize to its store winner that enters them into the national sweepstakes. Each participating shop receives a free kit with the materials needed to run the promotion, including; promotional posters, shopping bags, exclusive Panini NBA POD promo packs, an exclusive Panini NBA POD autographed card, Panini NBA sticker books, T-shirts, hats and Ultra Pro card holders — all emblazoned with the Panini NBA Player of the Day logo. The exclusive autograph cards are slabbed in a protective case by Beckett Grading. The checklist boasts and impressive line-up of more than 30 rookies, NBA All-Stars and young stars including Dennis Smith Jr., De’Aaron Fox, Markelle Fultz, John Collins, Jayson Tatum, Zach LaVine, Andre Drummond, Victor Oladipo and more. Each shop receives one autographed card to award their grand prize winner. 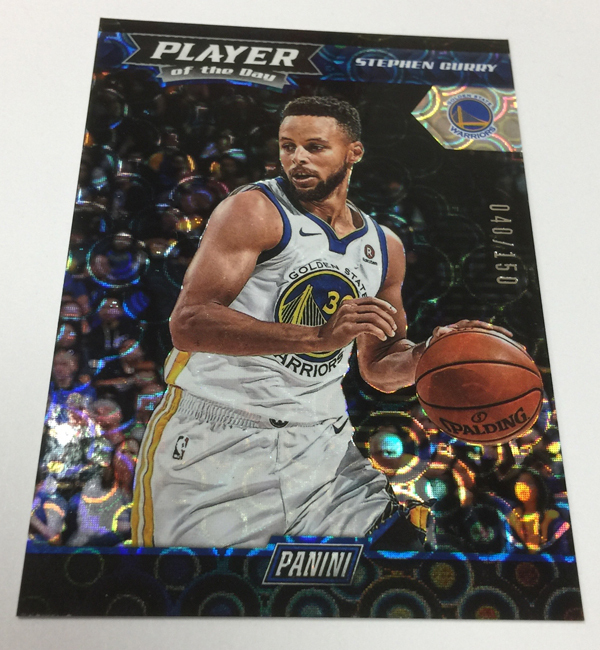 Collectors will also get to enjoy the promotion and win autographed cards and other promotional items via social media by following @PaniniPOD on Twitter and on Facebook. 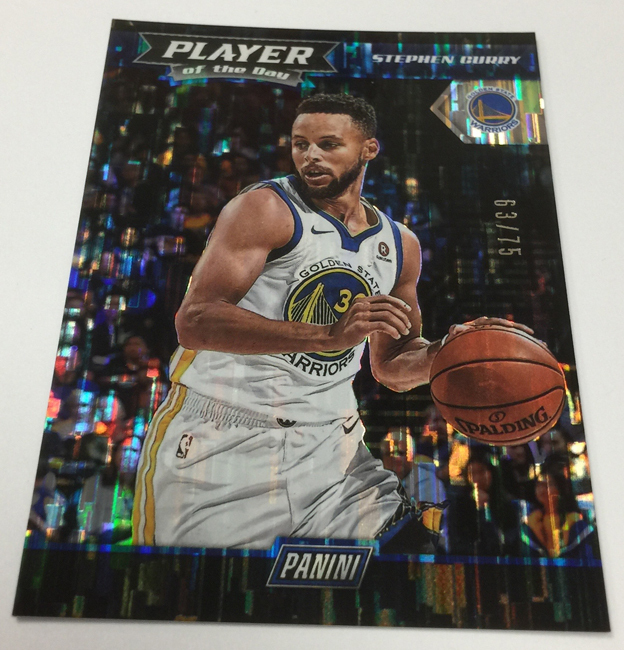 To get you properly prepared for this week’s tipoff, we provide a must-see sneak peek at the promotion-exclusive card set, including base cards, parallels and autographs.